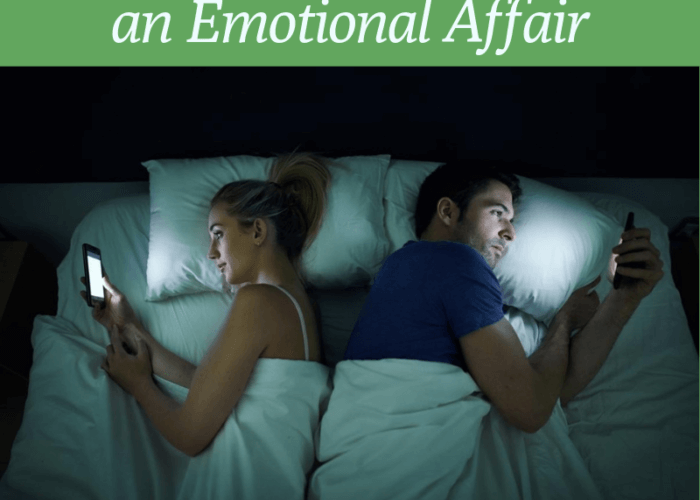 With many couples busier than ever and spending more time apart than ever, emotional affairs come up often in our office. Not only are couples physically apart for the majority of their waking life (i.e. jobs, errands, kids, activities, etc.) 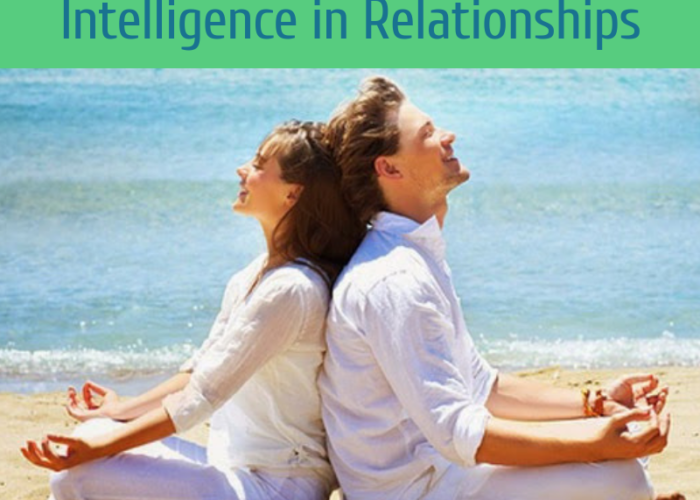 — with the emergence of things like social media and cell phones, many couples also spend a lot of time energetically and emotionally apart. 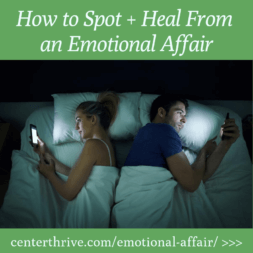 When there is less time together, more time apart, and more time connecting with people outside the relationship, if things aren’t rock solid and intimately connected between the two of you, the stakes are high for emotional affairs developing. (1) they are not as objective and clearly defined as a physical affair and often happen in public, innocent settings (i.e. … Read More. Teasing your be​​loved: is it playful or harmful? We LOVE to laugh together. We are huge advocates for the power of silliness and play in relationships. It creates lightness, bonding, and joy. 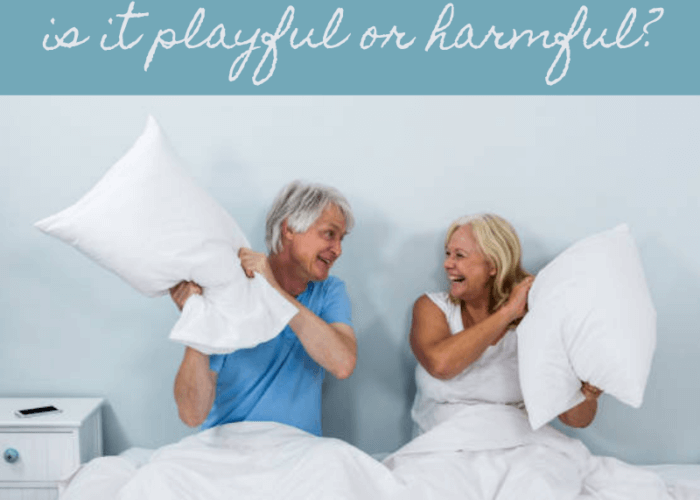 However, playfulness can become a very sensitive and delicate arena — especially when one partner thinks they are just joking around, and the other feels belittled, ridiculed, or hurt. 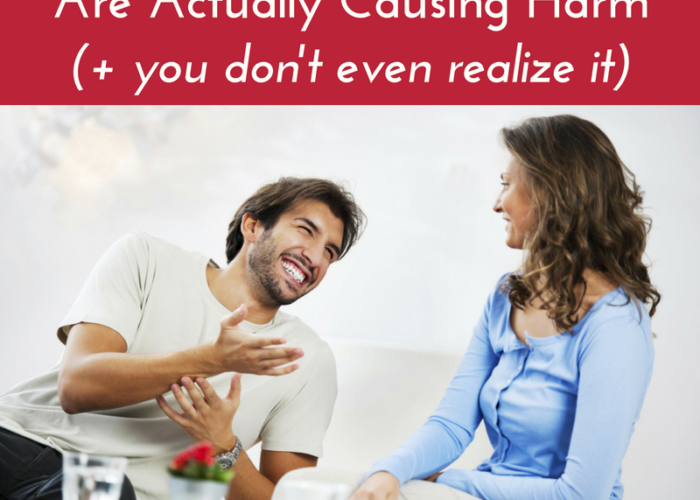 If you have ever heard or said the words “I was only kidding” — but the other person in the interaction felt stung by what was said, this blog is for you. We have a very simple way to determine whether a playful moment is positive and healthy or one to completely stop in its tracks. Teasing is a form of play that is not limited to only humans. … Read More. 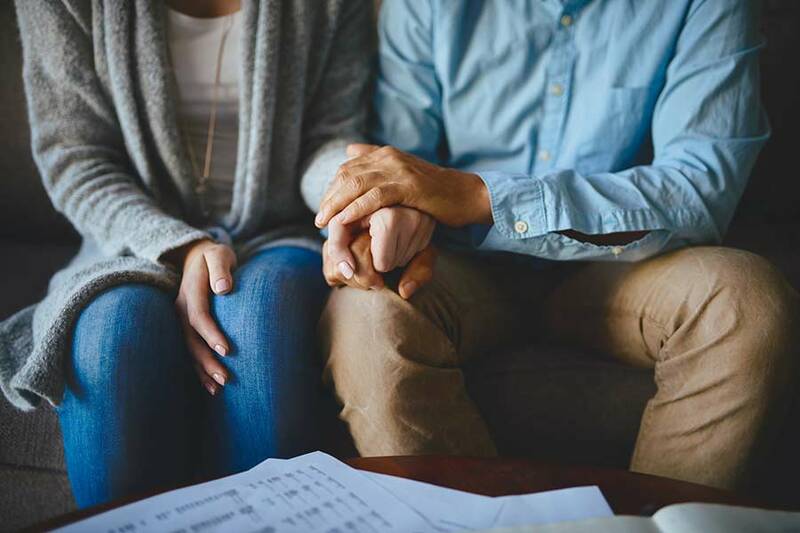 We’ve been honored to support couples long enough that we now see patterns so recurring we could complete the sentences of clients as they explain what happens in their moments of conflict and disconnect. 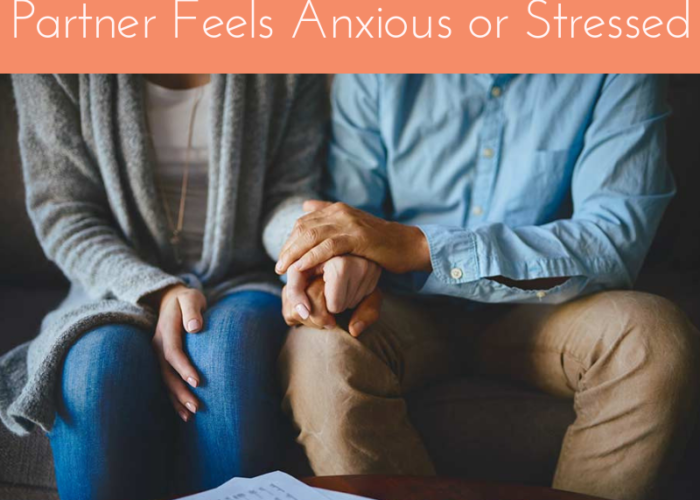 They enter into couples counseling because Mary feels exasperated, frustrated, and deeply discouraged by how she does the majority of things — around the house, with the kids, and to show up in their relationship. She complains about how Jason comes home from work and just relaxes on the couch while she runs around tending to everyone’s needs. … Read More. We are sending you many cozy and light-filled wishes this holiday season. We know it can be a really wonderful and joyous time for many of you, and we know it can also be a time when stress and anxiety are heightened. Whether it’s the holidays or any time of year, we live in a time when stress and anxiety have become an epidemic. Not only does this have damaging consequences for our own mental and physical health, it also dramatically impacts our relationships. That’s why we wanted to be sure to address it in this month’s blog! 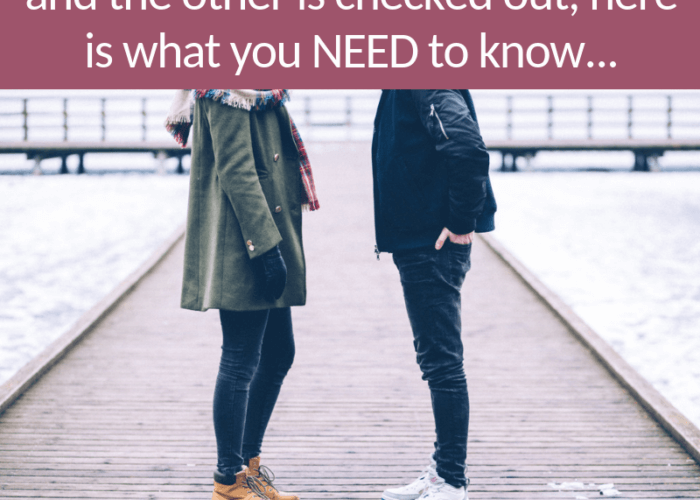 If you are in partnership with someone who is more prone to stress and anxiety, it’s easy to unintentionally do the very things that exacerbate the issue. 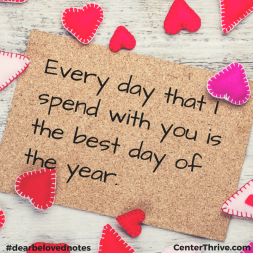 Instead, in this month’s blog, we share 6 key tips for responding to your beloved in ways that mitigate stress and provide greater peace and calm. … Read More. A couple of weeks ago, we led our signature Thrive in Love retreat, which is always one of our very favorite weekends of the year. 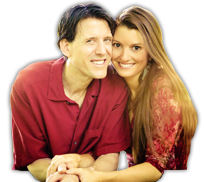 On the first morning, we love to dispel some outdated relationship myths and guide people into embracing a new relationship paradigm — one of thriving love. He said this with some playfulness and lightness, but it is a very true statement. 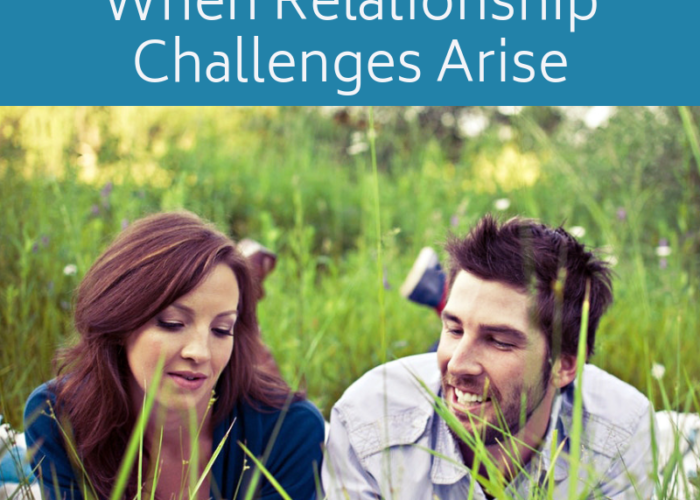 When we are in a romantic relationship, there is no place for the scared, confused, ashamed, egotistical, wounded, messy, and less-than-perfect areas within us to hide. They all come to the surface for us to, ideally, love, heal, and transform. … Read More. You may have heard the expression: you are rarely upset for the reason you think you are. While this is wonderful and wise guidance, it only works if you have the emotional intelligence that is necessary in order to uncover the various layers of what you are really upset about — and why. This common disconnect from our true emotions happens for a variety of reasons. In fact, very few people are ever taught how to access and express their most authentic emotions in healthy ways. – you witnessed your caregivers unhealthily manage their emotions by burying them, stuffing them with food, avoiding them with alcohol, taking them out on others, etc. … Read More. (1) Our next couples retreat, Thrive in Love, is coming up soon (September 29-30) at one of our favorite places in the world, the Tibetan Mongolian Buddhist Cultural Center! 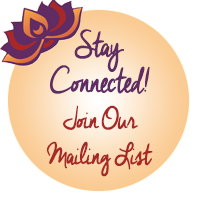 If you’d love to learn how to effectively and compassionately communicate (about even the most heated topics! ), find ways for your differences to work for you, quickly repair and heal after any conflict, stay deeply connected (no matter how busy you are), reignite the spark, keep passion alive for a lifetime, give and receive the kind of love you both have been longing to experience, and create a joyful and thriving relationship, we would be thrilled and honored to have you with us! … Read More. When it comes to communication, there are some obviously unhelpful and unattractive patterns — like being critical, blaming, getting defensive, thinking you know it all, or talking over or interrupting the person who is speaking. 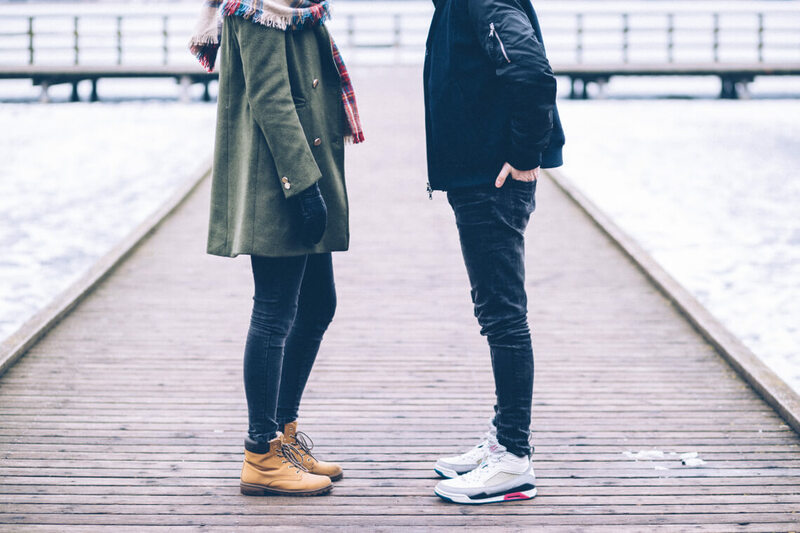 However, there are 3 common communication blunders that many people are less aware of — but that can equally do harm in relationships. We want to be sure you don’t mistakenly fall into these traps. 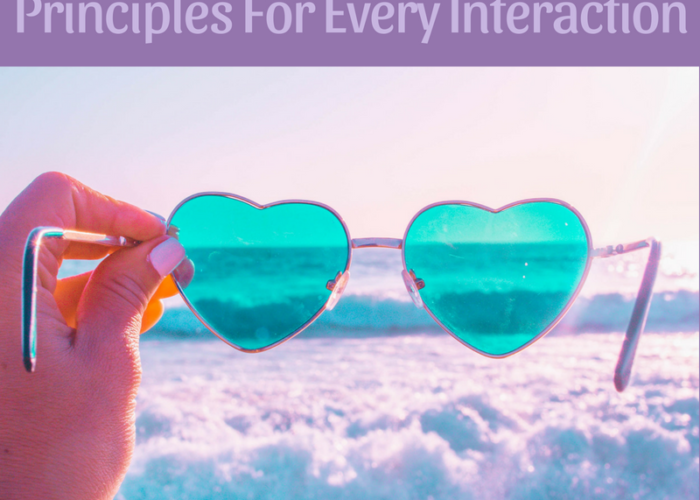 This blog is highly relevant for relationships that extend beyond just your romantic partner — ​your ​friends, ​kids, colleagues, you name it! 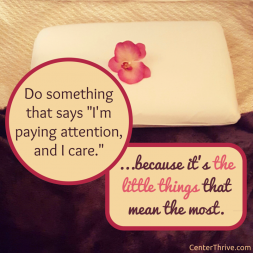 When someone else is sharing about either a joy or challenge in their lives, do you instantly relate it back to your own life and start giving them an example of something you experienced? … Read More.